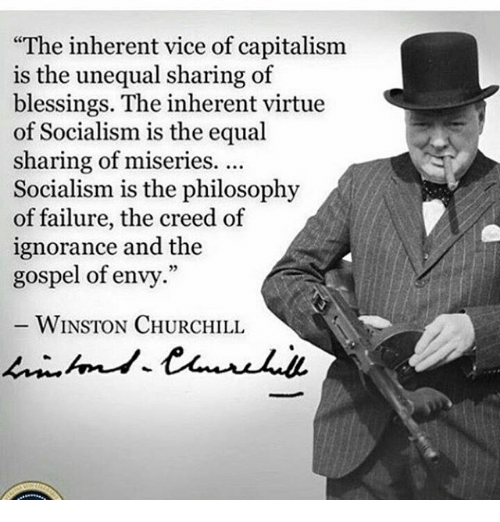 This entry was posted in Thought For the Day and tagged Capitalism, Creed of Ignorance, Even Distribution, Gospel of Envy, Misery, Philosophy of Failure, Prosperity, Socialism, Thought For the Day, Uneven Distribution, Vice, Winston Churchill. Bookmark the permalink. Leave it to Churchill to nail it…and human nature in the process! Great thought!